Tracy Island, Lost Knowledge and Truth is located in Hod. And as the description implies, it is the place to go when you seek hidden knowledge, truth that has been kept from you, or to reveal secrets. It is primarily a place of learning about yourself and the universe, but it also can be used to shed light on subterfuge in your life. This is a mystical place full of mystical things. It is not too far away from the physical plane, so you still will experience a physical-like reality here. However things here are very symbolic and will often have personal meaning in your life. The object in the sky is the “All Seeing Eye of Hod,” from which nothing can ever be hidden. If you yourself carry secrets with you to this place, the “All Seeing Eye of Hod” will expose them to you, even if you have hidden them from your conscious self. This also makes it a good place to come to examine what is inside your subconscious mind. The contents of your subconscious mind is not often apparent to you and can be a source of unwanted and or distressful reality creating, if you do not know what is there. Archangel Michael is the main spirit guide in Hod and here, but this island is also a bit special so you may find Thoth and Anubis here as well. They will help you discover truths that hide in the light and the dark respectively. Tracy Island is a stronghold of sorts. But it is not like Valhalla at the edge of the Abyss, being used as a battlement. Here, at Tracy Island, you are in a protected space, surrounded by luxury and fine living, safe and secure, far away from enemy lines. This is a place where plans are made for the future on exposing lies, deceit and subterfuge, so that the world is not covered in darkness. Many physical and nonphysical rescues are planned and mounted from this place, with Michael, covertly, leading the charge! Perhaps he may even recruit you for a mission or two. 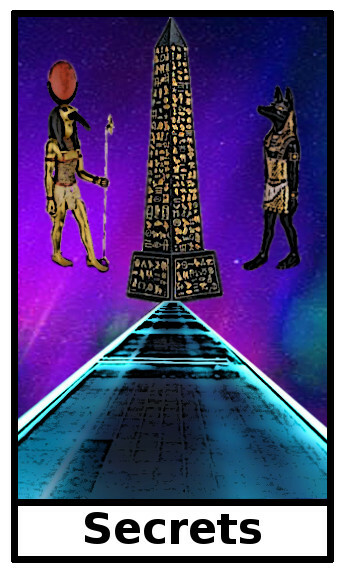 Enter into the “Pyramid of Truth” when you are ready to learn the secrets of the Universe and the Self. 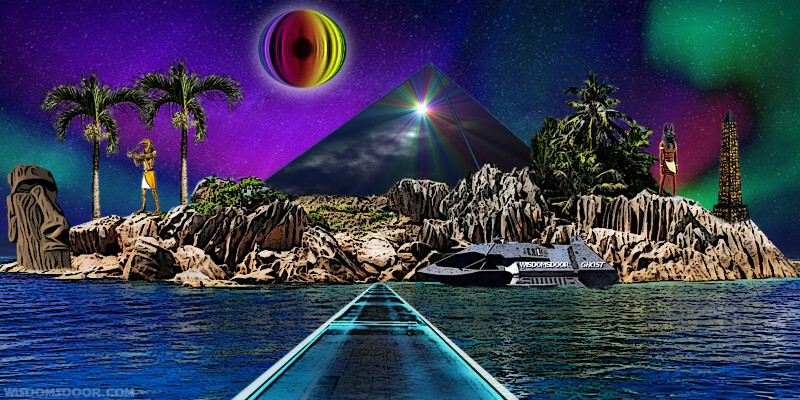 Seek the “Obelisk of Hidden Fate” (right side of island) to see what unknown forces you may be pulling toward you, so if you do not like what you see, you can change it. Talk to “Dumdum” the spirit of laughter and frivolity (large statue on left side of island) and have him tell you a joke to lift your spirits or just listen to his hardy good laugh! We all should have a sense of humor about us like he does! This can be a wonderful place as long as you do not come here full of secrets and subterfuge. If you do, you will get a rude awakening as the truth of what you are creating is reveled to you. Otherwise this place can be fun and can enlighten you about your spiritual journey, and of course reveal to you the secrets of creation and the universe! Shh... don’t tell anyone! After you are done with all the serious stuff here, have some fun and take the “Wisdomsdoor Ghost” out for some mystical seaside fun! Enter the "Pavilion of Protection" (located inside the Pyramid) when you need to feel safe and secure. Michael's presence is very strong in the Cathedral. You can also get a audiance there with him if you desire. Just saying! You may meet spirit guides with the names: Scott, John, Virgil, Kayo, Brains, Parker, Lady Penelope.